Costa Blanca refers to the over 200 kilometres of coastline belonging to the Province of Alicante in Spain. The name "Costa Blanca" was devised as a promotional name used by BEA when they launched their air service (for £38) between London and Valencia in 1957. It has a well developed tourism industry and is a popular destination for British tourists. It extends from the towns of Denia in the north, beyond which lies the Costa dels Tarongers, to Pilar de la Horadada in the south, beyond which lies the Costa Calida. It includes the major tourist destinations of Benidorm, Torrevieja and Alicante. Blanca refers to the over 200 kilometres of coastline belonging to the Province of Alicante in Spain. The Costa Blanca area of Spain is located approximately half-way along the east coast of Spain. The area is a very popular tourist destination because of its excellent weather and climate and the many superb beaches which stretch for miles and miles along the coast. lies in the municipality of Orihuela and is very popular with the tourists and most of the population consists of Western European expatriate communities who have settled there in the last 15+ years, virtually transforming the village into a modern-looking town. 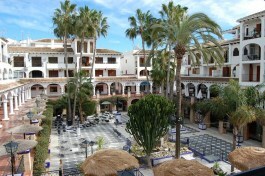 There are many golf courses nearby and numerous beaches - La Zenia being the closest. 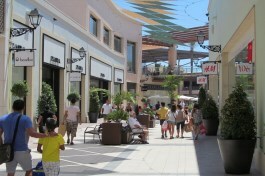 There is a fantastic recently opened shopping centre called La Zenia Boulevard, well worth a look if you enjoy shopping. is a popular beach resort located on the Orihuela Costa situated between La Zenia to the north and Campoamor to the south and close to the major town of Torrevieja. 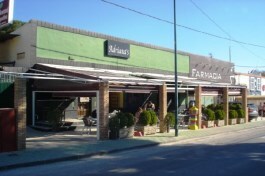 With fantastic weather and easy access to Murcia Airport - just 20 minutes south and Alicante - 40 minutes drive north. It has become a popular place for holidaymakers, people owning second homes and a growing expat population. 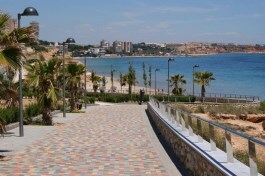 There are a few nice beaches nearby at La Zenia, Playa Flamenca and Campoamor. or to give it its full name El Pinar de Campoverde is a village set on a wooded hillside. It is approximately 8 kms inland with views to the Mediterranean. There are many northern European residents living there. Only 15 minutes drive takes you to several beaches stretching from El Mojon to Mil Palmeras including a small pretty cove at Torre de la Horadada where there is also a lovely little marina and cafes/restaurants. Only 25 minutes drive from San Javier, Murcia airport. is ideally located close to the safe sandy beaches of the Mar Menor and the Med. The region is largely agricultural; surrounded by market gardens, orchard and citrus groves. The town is close to a coastline of fine sand and clear water beaches, interspersed by attractive inlets, all offering a full range of services. The beach at Mil Palmeras is ideal for sailing enthusiasts, linking up with the Rincón and Puerto inlets; the latter with a promenade. There is a large local weekly market.